A senior Agile/Kanban Coach, with over 18 years of IT experience, Sanjay helps organizations learn and transition to Agile in an evolutionary/low-impact manner that aims to bring quick results while maintaining high motivation and low resistance. He has deep understanding of Scrum/Kanban metrics and actively uses them to ensure results are verifiable, rather than just a gut feel. 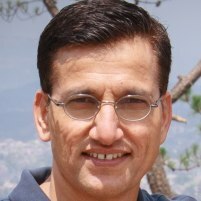 Sanjay has helped start-ups, mid-size organizations and big corporates in their Agile journey. As an Agile Trainer, Sanjay has delivered 250+ days of public and corporate training on Agile, Scrum, Kanban, Facilitation and Coaching skills. His most popular trainings include ICP-ACC from ICAgile and Kanban Management Professional (KMP1 & KMP2) from Lean Kanban University (LKU). Sanjay has authored and published an agile assessment framework called AgileFlow.